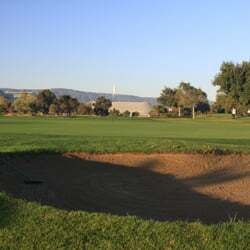 Moffett Park, Moffett Field, California - Golf course information and reviews. The course is now run by Google's Planetary Ventures with the management of the course contracted out to OB Sports. We ask that all players call in advance to request a tee time. The Golf Shop staff can be reached at (650) 386-0720. 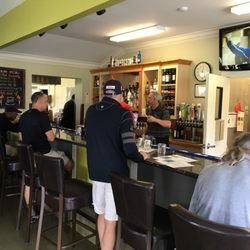 On your day of play to access the golf course you will need to have a valid driver's license for the security gate personnel upon entering Moffett Field. 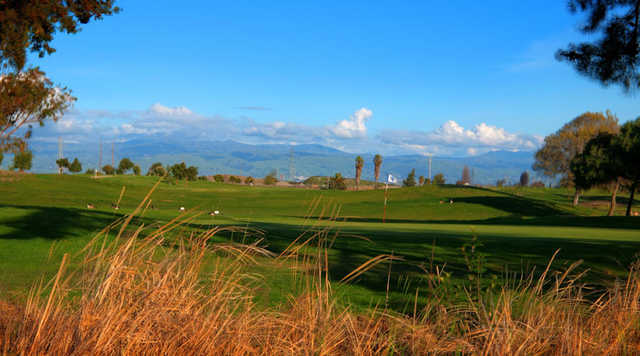 The golf course is in amazing condition and we still offer old-world affordability with fees ranging from an incredibly low, super twilight rate of $14 to only $49 during peak weekend hours. Members of the military (retired and active), OB Sports Cardholders, and Google Employees are eligible for discounted rates. In a twist of irony, the original, very-flat course was named the ‘Hill Course' in honor of Captain Arthur S. Hill, the Commanding Officer at Moffett when the facility opened in 1959. Designed by Bob E. Baldock, the course began as a nine-hole venue before expansion to 18 holes ten years later. In 2007, improvements were made to recontoured terrain, add partial concrete car paths, bunker restoration and greens modification. The course remains at par 72, playing to a maximum of 6,572 yards from the challenging blue tees. 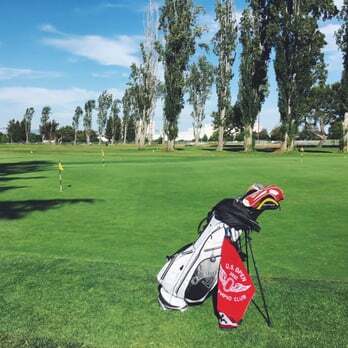 The Golf Club at Moffett Field is the perfect venue for employee recreational activities, whether it's a golf tournament or league, practice balls at the driving range, putting contest, barbeque, luncheon or after-work social. The golf course can host groups up to 120 golfers for shotgun tournaments and fundraisers. All tournaments and special events can be booked up to one year in advance by calling the General Manager, Gary Pearce, at (928) 821-3080. 7/10 - Lots of work has been done since the last review. A hill has been added to the left side of the 6th hole, and more dirt was added to the hazards between 12 and 13, and 12 and 16. The bunker on 16 has been re-contoured. The bunker at the back of hole 13 has been removed (drainage). New fluffy sand has been added to a number of bunkers (expect that they will all be refilled eventually. A new management company has taken over the course, since Google is in charge of the land now. The new management company is making changes on how the course is being maintained. NASA, the previous manager of the course took all the flags and golf carts. So there are all new electric carts now, along with new shoe cleaning stations. One of the club washing stations was removed, and all the ropes used to direct traffic have been taken down by the new manager. The flags are now color coded for the pin position on each green (red in front, white in middle, blue in back). Previously all flags were white with the NASA Logo on them. Hole positions are changing daily (or at least between Sat and Sun when I play). In the past some hole positions would remain the same for both Sat and Sun. All the OB stakes for holes 3 and 11 have been removed and the water hazard on 11 has been designated a lateral hazard now (yellow stakes to red stakes). The rough is now being kept to 4" or less, and some very high grass areas have been reduced to expand the playable area. The greens are firmer and a little faster but it may be too early to tell if that is a result of the weather or the way the course is being maintained. The fairways are being cut more often with less clovers and white flowers showing. The bunkers on 2 and 8 are currently being reworked to define the edges. Work on the course continues. July 2011 there are new slope and rating numbers for all tee boxes. The slope has decreased from 126 to 120 on the blue tees and from 123 to 117 on the white tees. The double green on 16 (allowing a long or short par 3) has been replaced. The short green has been removed. Also, the (left) waste bunker on 3 has been filled in. The green on 11 has been enlarged allowing the hole to play longer now. This course is flat but located at the South end of San Francisco Bay. Wind is usually a factor on most holes. The course is very walkable and usually plays fast, 4.5 hour rounds walking are common. This is a semi-private course open to US governement employees and military. It is located on former Moffett Field military base (now Nasa Ames). There are still guards at the gate so you will need a military ID or government ID to access the course. 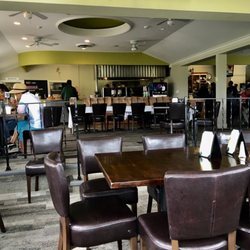 Add a course review for Moffett Park. Edit/Delete course review for Moffett Park.